Chancellor Nicholas S. Zeppos will host a discussion of Fatima Mirza’s A Place for Us on Monday, Nov. 12, at 3 p.m. in the Great Room of E. Bronson Ingram College as part of the book club series he launched earlier this semester. The event, originally scheduled for Oct. 30, is free and open to all members of the Vanderbilt community. Light refreshments will be served. Mirza’s widely praised debut novel centers on an Indian-American Muslim family in Northern California, as adult siblings Hadia and Amar navigate their personal lives, familial relationships and cultural identities at home and in society. 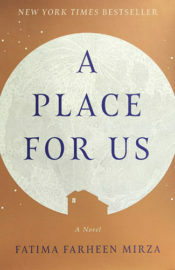 A Place for Us was released in June and landed on The New York Times bestseller list within a month. 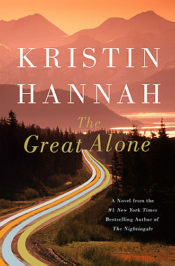 The next event in the series will focus on Zeppos’ pick for November: The Great Alone by Kristin Hannah. Zeppos will lead a discussion on that book Thursday, Nov. 29, at 3 p.m. in the Moore Great Room at the Kissam Center. Faculty, staff and students are invited to attend. The Great Alone chronicles Vietnam veteran Ernt as he moves his wife, Cora, and their 13-year-old daughter, Leni, to a remote part of Alaska. The family adjusts to life in a small community on the edge of the Alaskan wilderness, while also dealing with the increasingly violent effects of Ernt’s PTSD, which resulted from his experience as a prisoner of war. Author Hannah has previously released more than 20 novels, including 2015’s The Nightingale. Faculty, staff and students can receive free copies of The Great Alone at the Nov. 12 event or by emailing chancellorsbookclub@vanderbilt.edu. 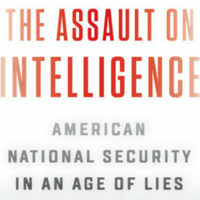 Books will be available until all 50 copies have been claimed. Barnes & Noble at Vanderbilt also will have The Great Alone available for purchase. Zeppos launched the book club in September. 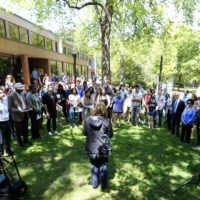 Information on future book club events will be made available on the Chancellor’s website.